Get ready for the most exciting Diwali Mela of 2018. This is RummyCulture Diwali Mela. 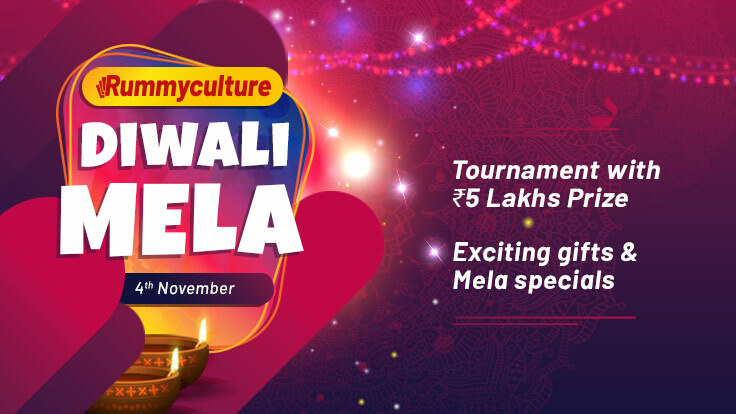 Come join the Mela on 4th November, by participating in the two Diwali Mela tournaments. Join with an entry free of ₹50 and win up to ₹5 Lakhs along with Premium playing cards by RummyCulture. 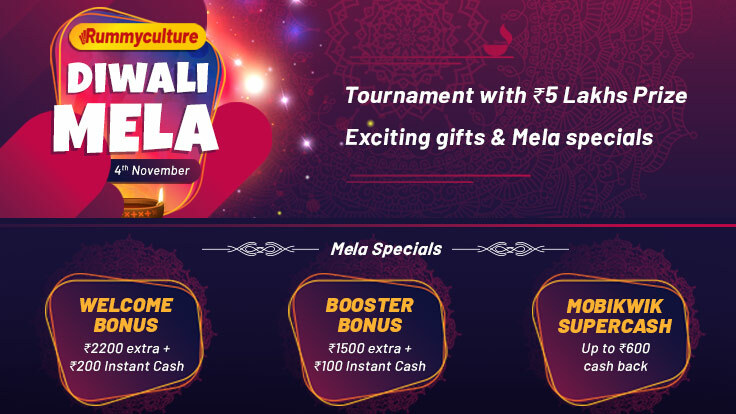 The Diwali Mela is a mix of prizes and awesome mela special benefits. From ₹5 Lakhs to premium gifts to special add-cash offers, we have it all in this Mela. Take a look.